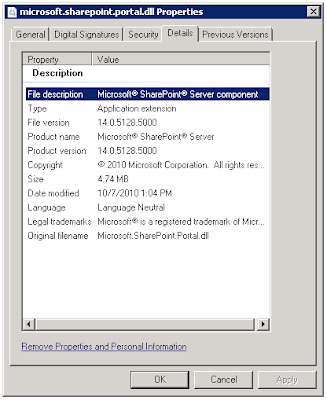 This post explains how to tell the version of a SharePoint 2010 server farm. In order to verify the complete farm, it is necessary to verify the version of DLLs as well as the Configuration Database. A. Verify the version of DLLs. 3. For each of the following DLLs, locate the file. Right-click the file > Properties > Details. 1. 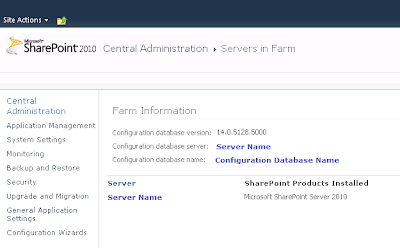 Navigate to SharePoint 2010 Central Administration > System Settings > Manage servers in this farm. 2. 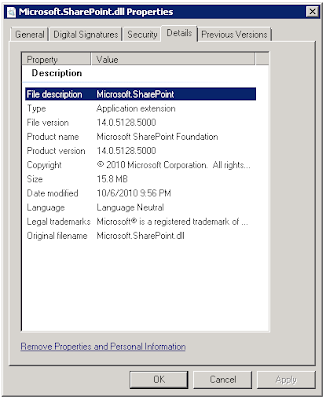 Note the "Configuration database version."